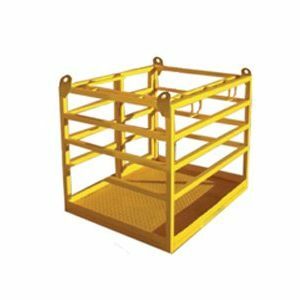 The Bremco Crane Lift Man Cage with Roof is designed by our Engineer in strict accordance with Australian Standard AS1418.17. 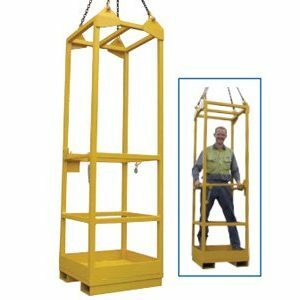 It allows a maximum of two people to be lifted using an overhead crane system. 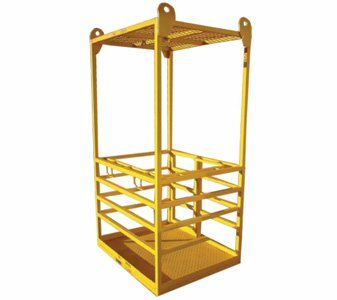 Bremco’s Man Cage has a working load limit of 250kg and is manufactured with a standard four point lift, and harness attachment points to meet all safety requirements. 4-Leg Chains can be supplied as an optional extra. This crane man cage is also available without a roof or we can custom fabricate a cage to your specifications.